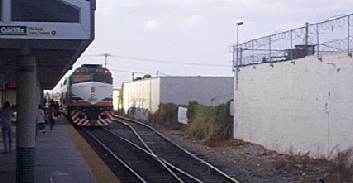 The district is the intersection of MetroRail (which connects to downtown and jobs north and south), Tri-Rail (which connects to the Miami International Airport and to job-rich Broward and Palm Beach counties) and Amtrak (which connects to the whole United States). MetroRail, Tri-Rail and Amtrak come together – or nearly come together – at 79th Street and NW 37th Ave. resulting in one of the most important transit hubs in the region. The 79th Street Tri-Rail stop, for example, has the highest ridership in the system, with an average of 36,000 rides/month (average of January-March, 1998), or 35.2% of Tri-Rail’s total. 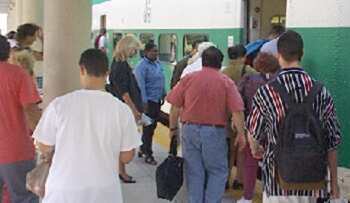 Many of these riders arrive at the station via MetroRail. The Amtrak Station is a short distance away. There is probably an opportunity for commercial development near the station.